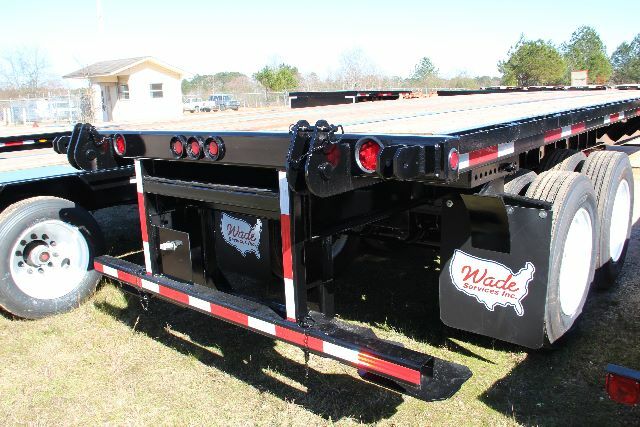 2016 WADE 45 X 102 FORK LIFT TRAILER - Flatbed Trailer in Laurel, Mississippi - Listing# 358066 - Wade Services, Inc. Please contact me regarding the 2016 WADE 45 X 102 FORK LIFT TRAILER - VIN# 285672 for sale at TruckerToTrucker.com. Take a look at this 2016 WADE 45 X 102 FORK LIFT TRAILER. It is VIN# 285672 at TruckerToTrucker.com. Brand new 2016 45 x 102 Wade Spring Ride Sliding Tandem Fork Lift Trailer with Universal Kit that accommodates the Princeton PB55 or the Moffet M55 fork lifts. Perfect for the lumber, sod, or brick haulers. Call today for pricing.